Together with other happy divers, you will be transferred directly from the airport to the comfortable boat that will be your home during a fantastic few days. You will share a cabin which is fully equipped with sheets, towels, an en-suite bathroom and air conditioning. Delicious & nutritious meals are freshly prepared in the on-board kitchen by a dedicated chef, and are served in the dining area. There are relaxation areas such as a lounge with sofas and entertainment, sundecks with loungers and mattresses, and the dive deck provides ample space for you to kit up and dive from. Diving is also done from the boat's RIB's. 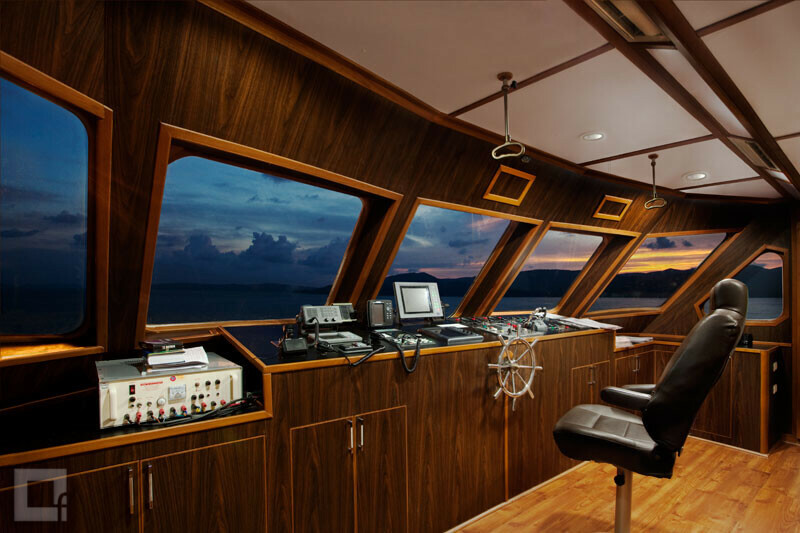 For those of you who love diving, a liveaboard is something a little extra, as you will be able to explore undisturbed, remote dive sites that daily boats can't reach.